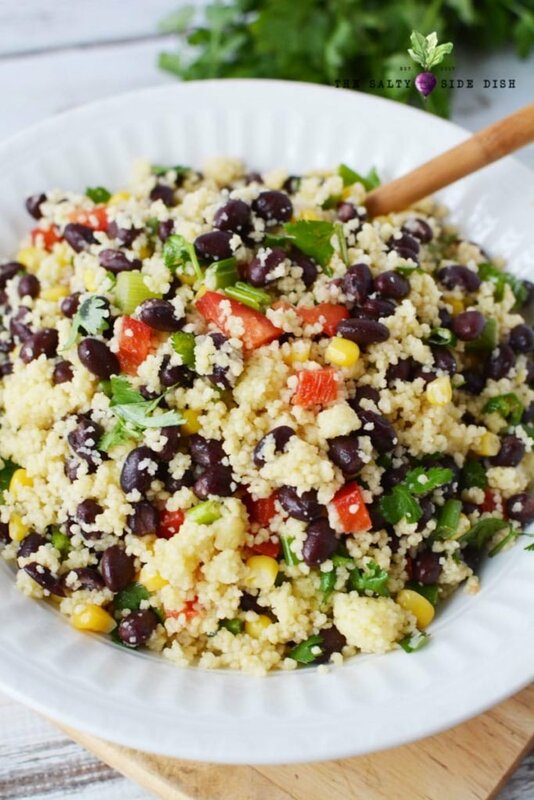 Southwest Couscous Salad with Black Beans, chopped peppers and crunchy corn is a perfect side salad that can be served hot or cold. If you haven’t tried couscous, you must get behind this not-quite-a-pasta, not quite-a-grain dish that is served all over the world in International cultures. Typically when you see couscous ingredients, they are Moroccan or Israli in nature. However this particular couscous recipe below is just as good. Full of southwestern (Mexican) flavors, its a delicious way to test out couscous if you have never tried these little baby balls of goodness. Now admittedly, couscous can be a weird texture for many. Couscous is not like anything else out there that are usually in our diets so stepping out of the comfort zone can be hard. But once its full of spices and containing some veggies or protein, can be a perfect filling meal or side dish. DO NOT BE AFRAID OF IT! IT’S DELICIOUS! 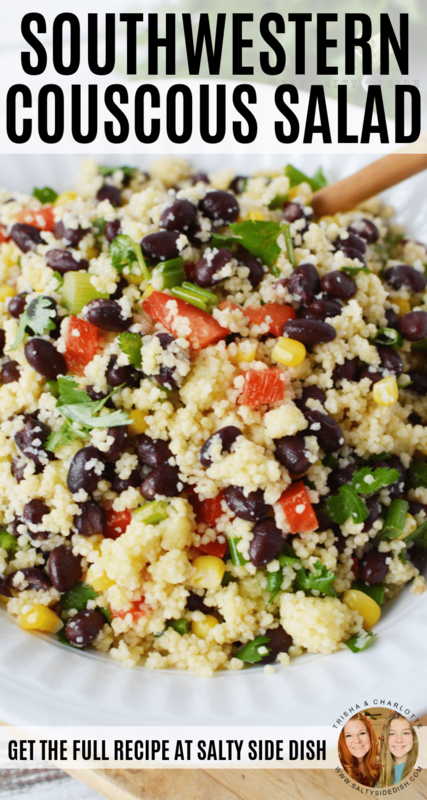 You can whip this delicious couscous salad together in 20 minutes. It’s pretty quick. Also this couscous recipe makes a decent amount. I’d say as written it would serve 8-10 easily. 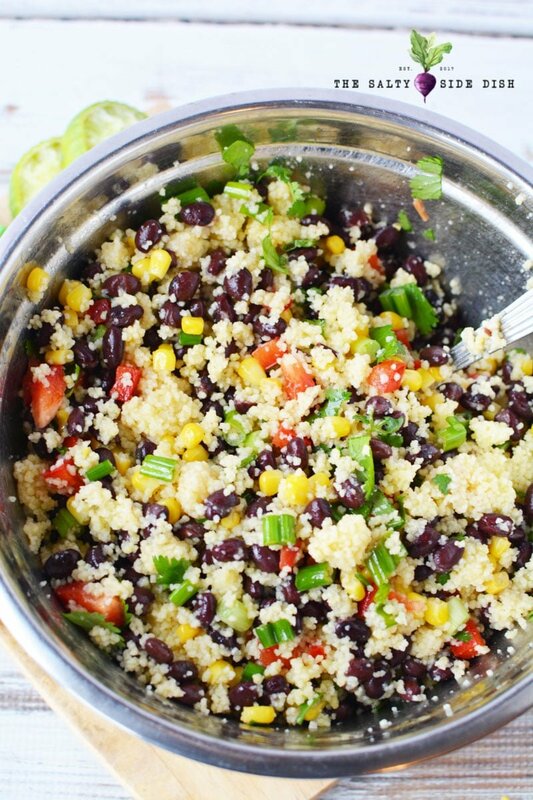 If you prefer to use quinoa, try this Quinoa Black Bean Salad recipe, which is very similar in texture. Can be served warm or cold * Would be great to bring to a party or picnic as a unique take on a salad dish! Most people do not think about this type of salad when creating for a crowd, so step out of the norm. You can print my recipe below which helps you take it to the store and buy everything you need! Couscous is actually little granules made from the hardest part of wheat. Its a common meal in Morocco and North Africa and considered a “pasta” dish by most. Couscous look like tiny small pellets and is one of the better dishes for large crowds. You can make it like I did above, in a side dish salad, or even add meat and spices for a traditional main dish recipe. 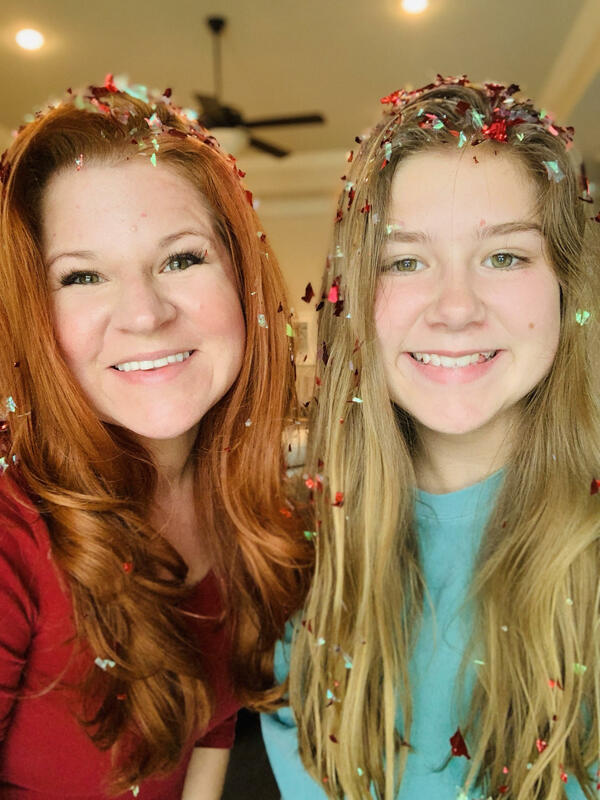 Many people mistake spelling it like kuskuz or cuscuz. Bring your chicken broth to a rolling boil in a sauce pan and stir in the couscous. Cover the pot and remove the couscous from heat. Let stand for 5 minutes to fluff up and absorb the liquid into the couscous. 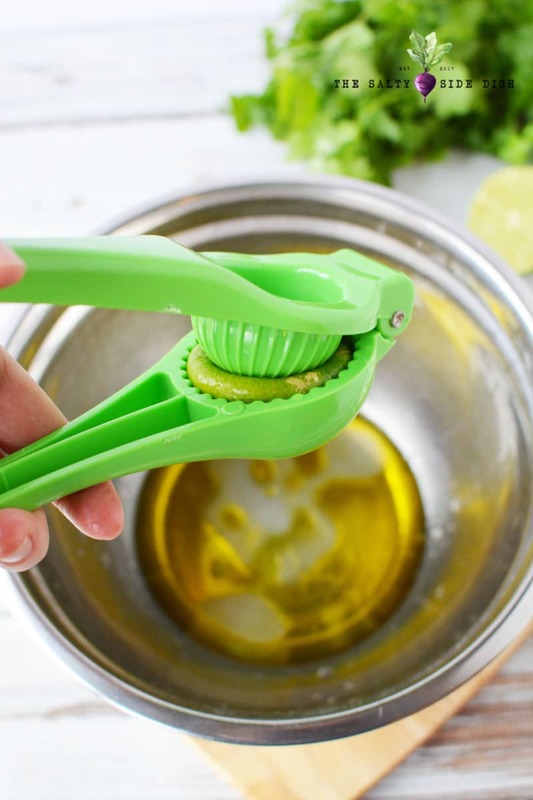 In a large bowl, whisk together oil, juice of 1 lime, vinegar and cumin. 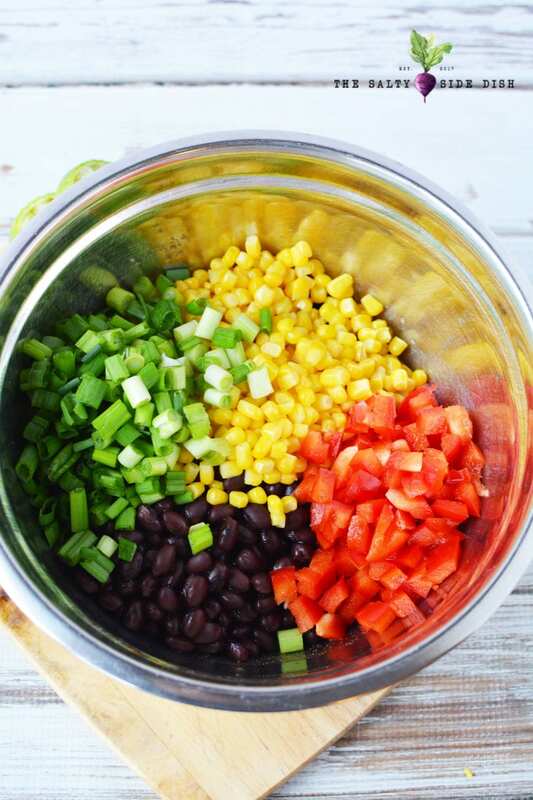 Add chopped green onions, chopped red pepper, fresh cilantro, drained corn and drained beans and toss to coat. Now mix up your couscous to make sure there are no matted chunks. Add to the bowl with the vegetables and mix well. Feel free to add salt and pepper. Can be served immediately and makes a great side dish to a lemon/lime chicken or served cold. Eat with 3 days. There are much healthier (and also worse) options on the nutrition scale. Its not considered a huge source of nutrients but like many foods can be purchased with a whole wheat version. Its not exactly unhealthy either and fine for a balanced diet. Is Couscous a carb? 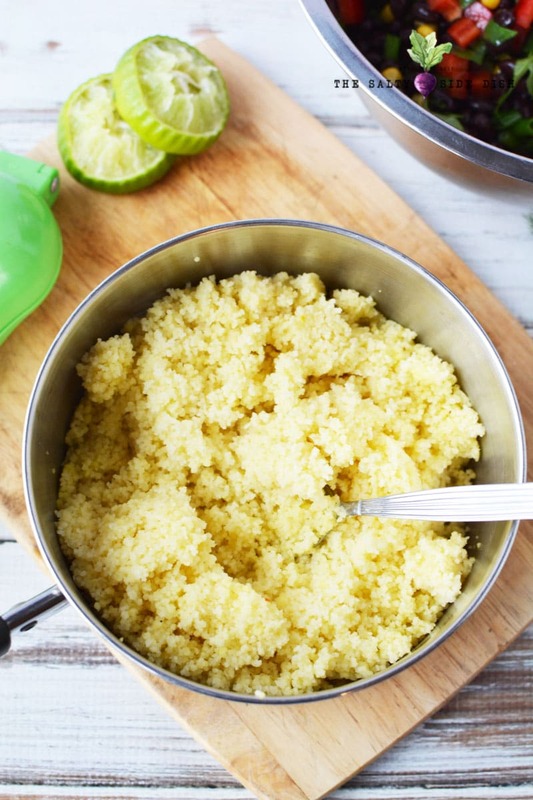 Yes, couscous is a carb. Is Couscous a grain? Not really.